WOW! Lots of potential with this prime property fronting Hwy 82. Great opportunity for commercial developers! There is plenty of land also available adjacent for sale that can be added for large commercial developer. Property is just past Guy's Automotive in Waycross. 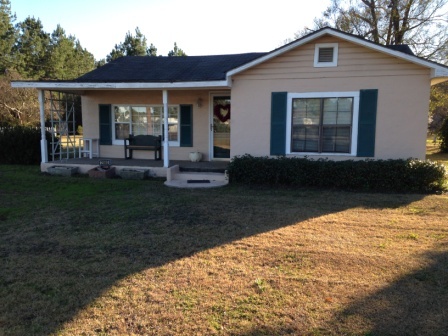 There is a 1,474 square foot home located on this property with a screened porch with two car carport. You can be at Walmart in two minutes, great location. DIRECTIONS: Heading east on Hwy 82, just past Guys Automotive. Property located on right, look for sign.